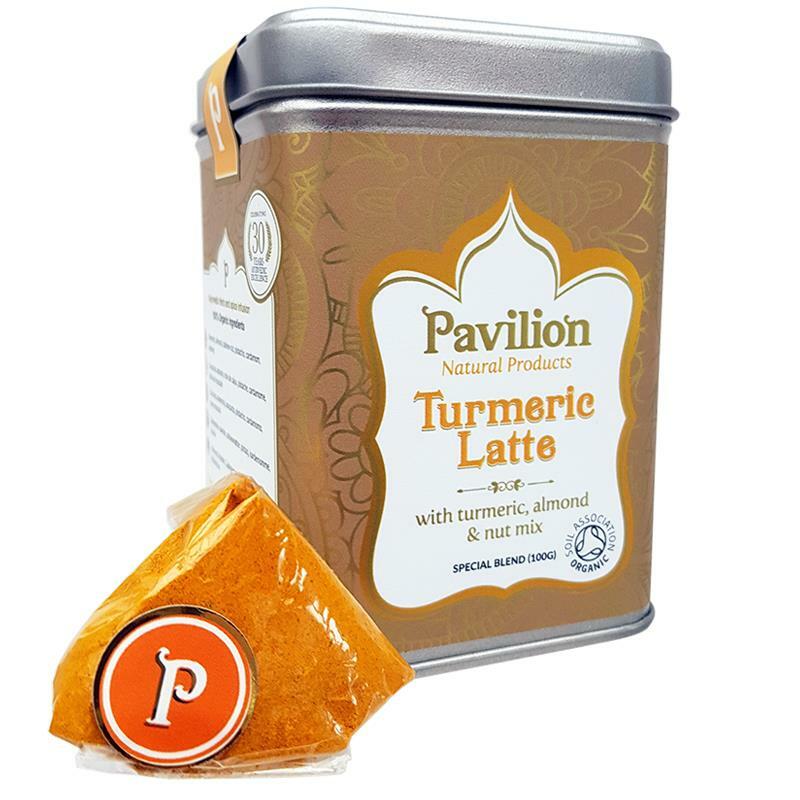 This Turmeric Latte is blended expertly with almonds, cashew nuts and pistachio to provide all nine essential natural amino acids for vegan protein requirement. This unique formula is a delicious nutritious brain food, best enjoyed at bedtime or after exercise, to give that essential nutrition to your brain, nerves, muscles and bones. A rich source of vegan protein, omega oils, complex carbohydrates, fibre, calcium, vitamin D, magnesium, selenium and iron. Our delicious natural traditional Indian health drinks - Haldi Doogh - Turmeric Latte golden milk drinks are a versatile and healthy addition to your diet and are specially enhanced with nutritious ingredients to give extra nourishment, delicious flavour and enhanced digestive power. Just add one teaspoonful of pavilion Turmeric latte to freshly boiled milk or a plant based milk of your choice; rice milk works best with this formula. Add sugar or sweetener to taste, and a teaspoon of cream! Stir well or use hand held blender in a jug to create a luxurious frothy Golden Milk drink. Drink once or twice a day in the morning, afternoon or night. The powder can also be used to flavour soups, salads, curries and smoothies. Turmeric, almond, cashew nuts, pistachio, cardamom, nutmeg.